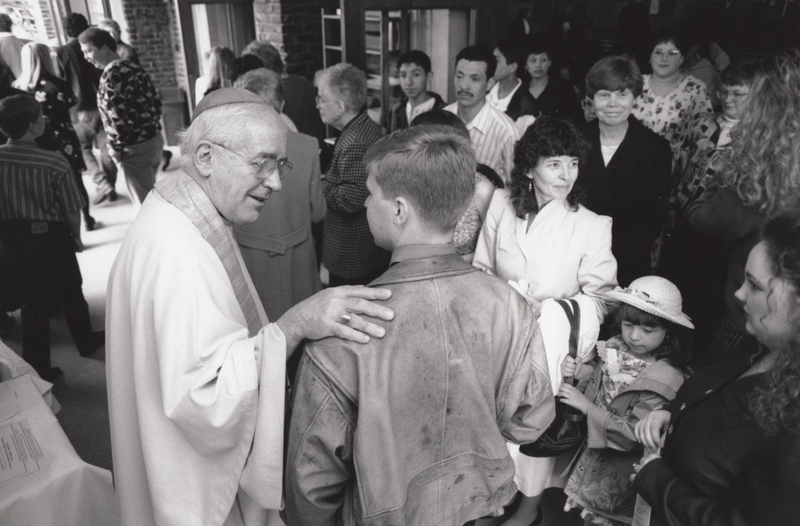 Archbishop Murphy converses with a young man after mass in April of 1997 – several months prior to his death. Archbishop Murphy knew full well the very serious nature of his disease. He viewed each new day as a true gift – one to be lived to the fullest. Interacting with young people energized him in a way that few of other aspects of his ministry did. Seattle University gave him the honor of presiding at the Baccalaureate Mass for the Class of 1997 – just 13 days prior to his death.